Formula super sports series is famous for it’s modern design and luxurious touch both interior and exterior, along with unbeatable performance. Charter this brand new 2015 model express cruiser, equipped with the most advanced technology in its class, ensuring safety and comfort. Experience the breathtaking view of this unique harbor, ride smoothly over the peaceful water, then speed up onto the ocean chasing the wind, followed by jumping dolphins. 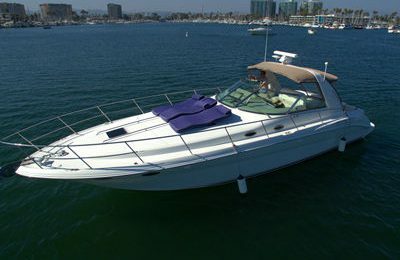 Relax yourself over the back cockpit, front deck, and, if you want you can also take over the steering, act like a captain for a little while.Depart time in Newport beach is 9:00 am, come back before dark. 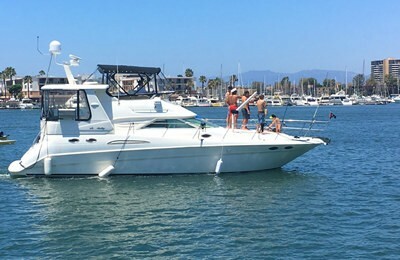 A newer model Formula 330 super sports express cruiser with all comfort equipment aboard. One sleeping quarter and 1 restroom below the deck. 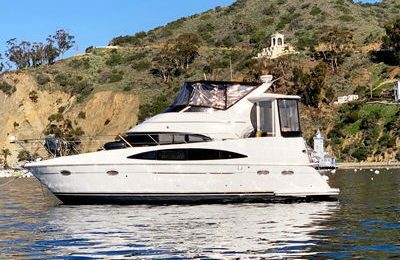 Round trip to Avalon harbor @ Catalina Island last approximately 8-10 hours( Depart at 9:00 am,come back to dock before dark), approximately 1 hour each way. Handling this powerboat is available upon request. Snorkeling, deep sea fishing, swimming is also possible, need talk to captain to make arrangement prior to your boarding.